When Harry, Heidi and Jack were small, we tended to always travel abroad with family. Travelling with three under 5s is tough going and nobody wants to be outnumbered by small children at an airport, on a plane or at the beach. We'd still do the majority of the childcare but it was always nice to have an extra pair of hands and eyes when needed. Because we were fortunate to have grandparents with us when travelling abroad, looking at kids clubs on holiday just wasn't a priority for us at all in the early days of parenthood and something we'd never even consider. 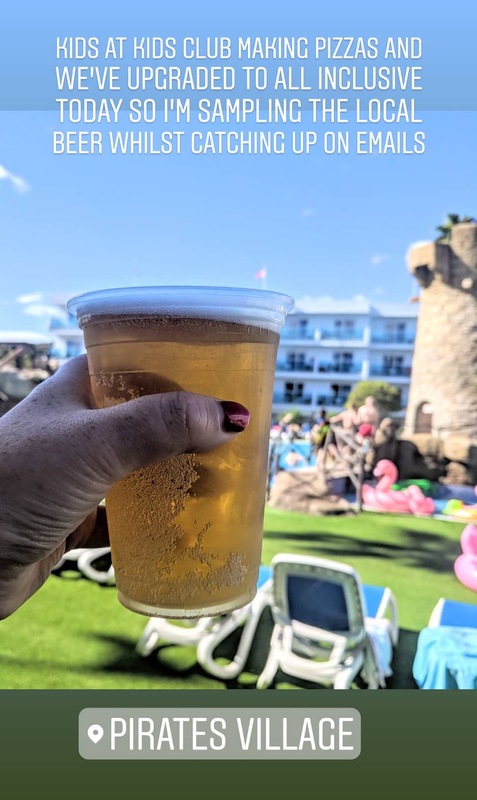 We did dabble with childcare providers in the UK (when it was just Steve, the kids and I) and although expensive, a few hours break during our trip to Center Parcs was something that was very much needed for us and something both the kids and grown-ups enjoyed. It felt like a huge treat and the kids loved their time in kids club, making pizzas without us. 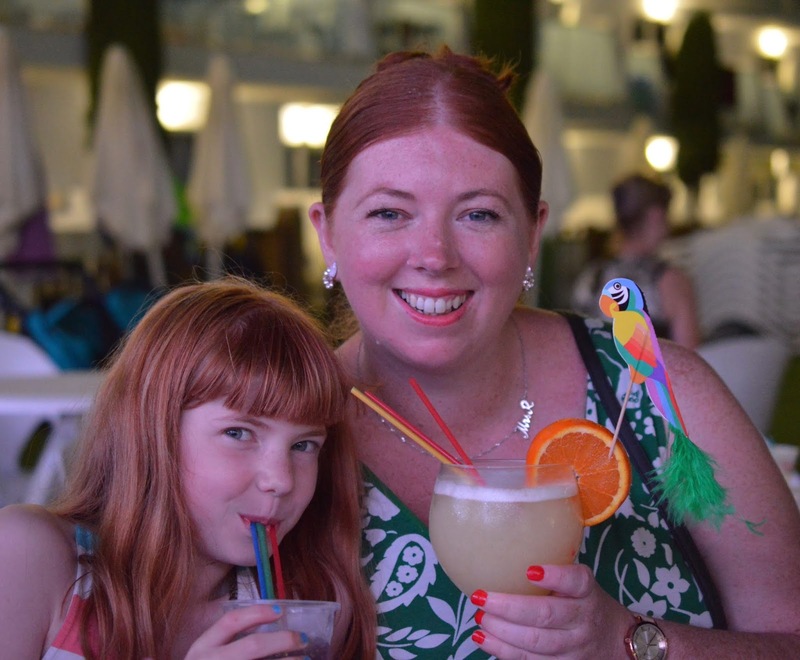 We've travelled abroad without grandparents for the past few years now and to be honest, I'm not really sure why childcare or kids clubs has not been something we've really considered using or looking for. Harry, Heidi and Jack have the kind of love-hate relationship most siblings have and they'll love each other and cuddle in one moment and a second later will be screaming that they hate each other. There are two school years between each child and I think at holiday resorts we've stayed at with childcare in the past, we'd have to have split them up into different groups due to their age which is something that wouldn't go down well and is why I think we've probably been a little reluctant. Anyway, it all seemed to change this year as Heidi and Jack now tend to fall in the same age bracket now they're older. We were sitting on our decking at Eurocamp in France and the kids club rep popped over and introduced herself and let us know a little about kids club and the activities on offer. Heidi and Jack's ears pricked up when the words dinosaur adventure were spoken and asked if they could go. My children aren't the most sociable of people and I did worry how they'd cope a little but decided to just go with it. I dropped them off at kids club and picked them up 2 hours later. They'd had the best time and were so excited to tell me all about it. After Eurocamp and a taste of what kids club was like, both the kids (and I) couldn't wait to see what was on offer during our next trip. 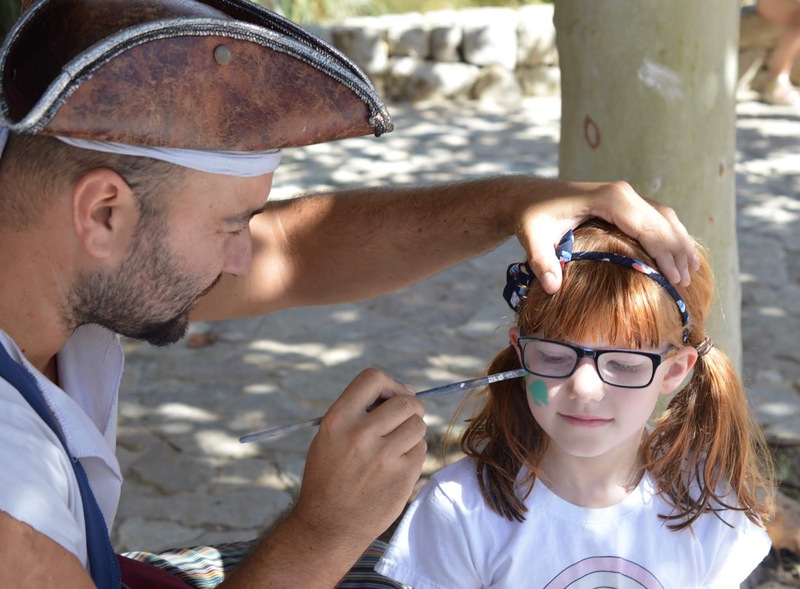 At Pirates Village Santa Ponsa, childcare/kids club is free from 10:30am-5pm and available on a drop-in basis. There's a timetable of activities at reception. Heidi and Jack were dying to go and I would say, visiting Kids Club was for them, one of the highlights of their holiday. They would generally spend 3-4 hours there each day and the staff would ring me when they wanted to be picked up or I'd collect them at closing time. On the first few days I tried to pick them up after a few hours but they asked to stay and for me to come back later as they were having so much fun! Holidays are perfect for family time and we did manage lots of that too but being able to balance it with time alone to sunbathe without keeping half an eye on the kids or enjoy reading my book un-interrupted or simply sit and have lunch with my mam whilst I knew the kids were having fun was such a revelation and worked out to be the perfect balance we needed from our holiday. 1 - The kids love it and the staff are constantly in 'fun mode' which is more than can be said for a tired mam and dad. I wouldn't send then kids or ever force them to go if they don't want to (Harry will never go now for example as he thinks he's too old) but Heidi and Jack always ask to go now and the staff are always so full of energy and put so much effort into ensuring all of the kids have a fab time and are happy - I don't know how they do it if I'm honest and it definitely takes a certain type of person to do this. 2 - There is such a good range of activities on offer and they're usually free. This year, Heidi and Jack have enjoyed movie time, face painting, pizza making, bouncy castles, trampolines, treasure hunts, crafts, computer game tournaments, dinosaur events, bubble parties, discos, pirate storytelling and more. It's a lot more fun than I could arrange sitting around the pool. 3 - With both the Eurocamp and Pirates Village Kids Club I was super confident that the kids were safe, well looked after and that the staff would contact me immediatly if anything went wrong. 4 - At Pirates Village the kids were given free lunch if they were at kids club over lunchtime which saved me at least £10 per day and allowed me to enjoy my lunch in peace. Dining as a lone-parent with kids is not always the easiest of tasks and it was nice to have this one job taken away from me for the week. 5 - It's a chance to socialise. My kids aren't the best at making new friends and tend to just play with each other. At kids club though, this all seems to change and they always make lots of new holiday friends who they then go on to play with on the evening or in the pool when they're not in kids club. H, H and J only really mix with children from their school and I love that kids club gives them the opportunity to mix with children beyond their immediate circle and with other nationalities too. 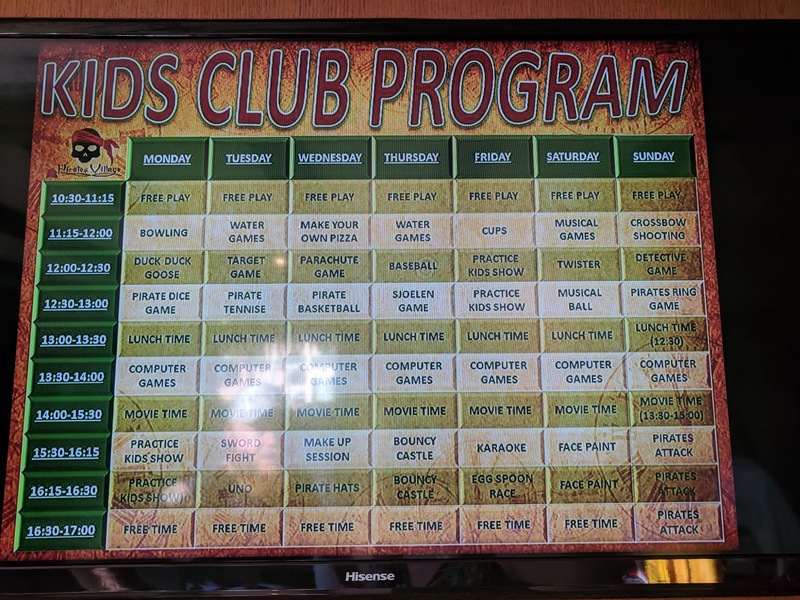 6 - It goes without saying that Kids Club gives us parents a break too. My kids are older now and are much easier to keep an eye on than a spritely toddler but you still do always need to keep one eye on them. The worst part of parenting for me now is constantly playing referee. Sometimes it feels like I spend more time breaking up arguments and separating the kids than anything else in life. H, H and J only act like this for Steve and I and when they go to kids club it all stops. It's nice for us to have a break and it's nice for the kids to have a break from arguing too I think - Kids club is a welcome distraction. 7 - It provides a good balance. I think holidays are such a good opportunity to spend time together as a family and re-connect but unless you're some kind of superfamily, it's impossible to do this 24/7. Time apart is very much needed still too. Parenting is the toughest job in the world and having a couple of hours to yourself to recharge works wonders for family life. Having the luxury of being able to relax when the kids are in kids club means that when they're not, us parents are re-charged and ready to play in the pool, spend hours building sandcastles at the beach or spend the evening playing cards and giving our children and family our undivided attention. It really is the best of both worlds. Harry is 12 now and says he is too old for kids club. That's fine and I would never force him to go. I think he might perhaps enjoy the teen clubs at places like Mark Warner but I would cross that bridge if we ever stayed somewhere like this. 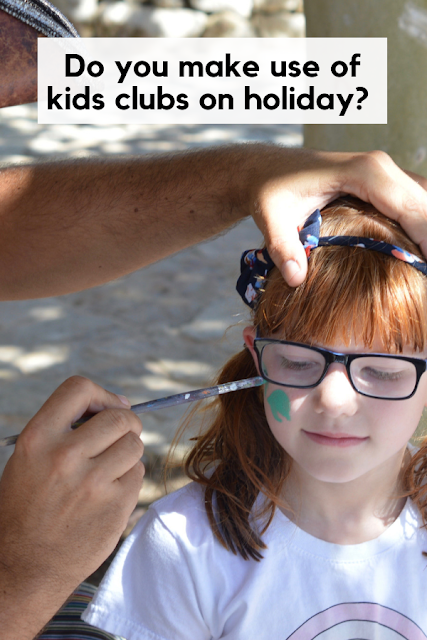 Heidi and Jack are aged 7 and 9 and I feel that they are at the prime age for getting the most out of kids club - it will definitely be a priority when looking for holidays next year. the girls are pretty anti-kids club but they play well together so to be honest I've stopped pushing it. The cruises we have been looking at have kids/teens clubs and i'll prob try to get them to go if we go. Nice for us to get some peace!